Zac has experience treating a range of sports related injuries and works with elite athletes from various sports including golf, Aussie rules football, running, gymnastics, boxing and basketball. Zac caters massage services for sports events and corporate groups by request and is the principal soft tissue therapist treating elite international athletes competing in the Great Australian Run. 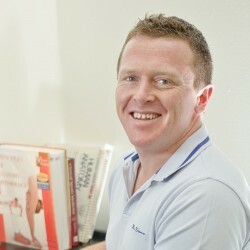 Zac also treats occupational injuries, recurrent pain, chronic injuries and general muscular tension.